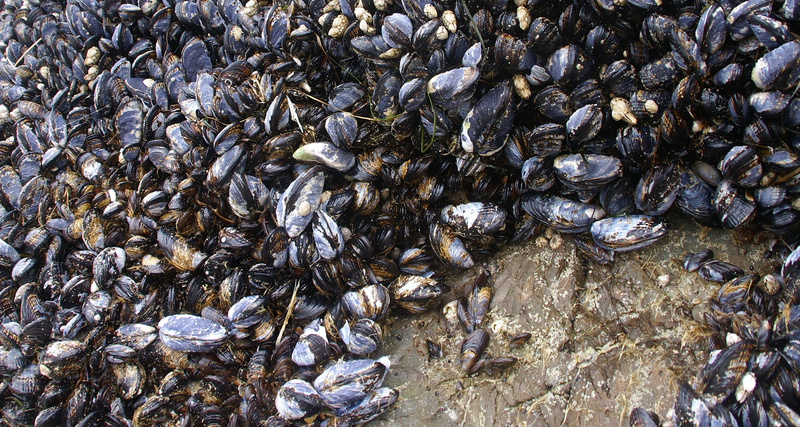 New research shows how mussels find the perfect match. 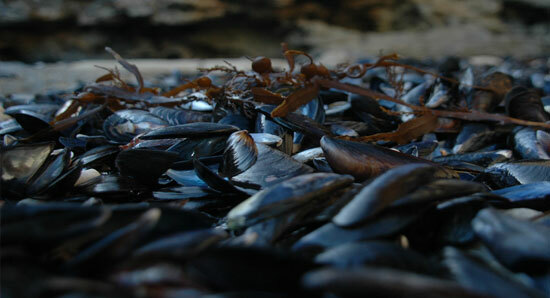 For mussels, fertilization occurs between eggs and sperm that have been released into the water. Up until now, it seemed the pairings were random limiting the ability to choose mates and diminishing the chance for successful fertilization due to genetic mismatches. However, recent research shows that the eggs actually release chemicals to attract the most compatible sperm. Since mussels are able to stick to just about any surface other researchers are exploring mussel proteins for creating bio-inspired adhesives and bandages. Imagine adhesives that actually stay on in water! In fact, Dr. Messersmith at Northwestern University recently demonstrated that mussel-inspired “glue” could be used to repair tiny holes in the membrane that surround a fetus and result in leakage of amniotic fluid increasing the risk for miscarriages. These defects can happen during endoscopic surgery on the fetus to correct birth defects or may develop spontaneously. Dr. Messersmith found the mussel glue to be bio compatible and effective as a sealant although the studies have only been conducted on isolated fetal membranes and not yet tested during pregnancy. The inside of a body, however, poses many of the same challenges as an intertidal zone. Marine glues need to stick to wet surfaces. They do so by employing a variety of chemical bonds to displace the water, right down to the last molecule. Then they need to keep their glue from dissolving in water. Research showed that mussels strengthen their glue with molecules of iron, though the mechanical details of this process remain unclear. So do the molecular details of mussel adhesive itself. The glue is made from a mix of proteins but much of its adhesive power comes from the proteins’ structural arrangement. The proteins have different functions: varnishes, primers, the parts that connect the adhesive” to the threads that compose the mussel’s foot. The less-complicated polycheate, a surf-dwelling worm, glues together grains of sand to make a tubular home for itself. The mussel has to glue a string to a wet rock, whereas a polycheate just has to glue two similar materials together. That’s a much simpler bonding problem. At the point of contact between surface and adhesive polycheate and mussel glues — though composed of similar proteins — likely rely on a different mix of molecular bonds. Incidentally, barnacles — the least-understood marine adhesive — don’t use dopa, a protein central essential for mussel and polycheate glues. The lack of dopa shows just how many ways nature has found to solve the problem of adherence in the surf. Even in limited areas mussel numbers may be astronomical! The shell of each mussel is bound to the rock by a series of tough threads, each of shining silken appearance. The threads are of natural silk, spun by a gland in the foot. These anchor lines extend in all directions; if some are broken the others hold while the damaged lines are being replaced. Most of these threads are directed forward, and in the pounding of storm surf the mussel tends to swing around and head into the seas, forcing them on the narrow ‘ prow’ and so minimizing their force.